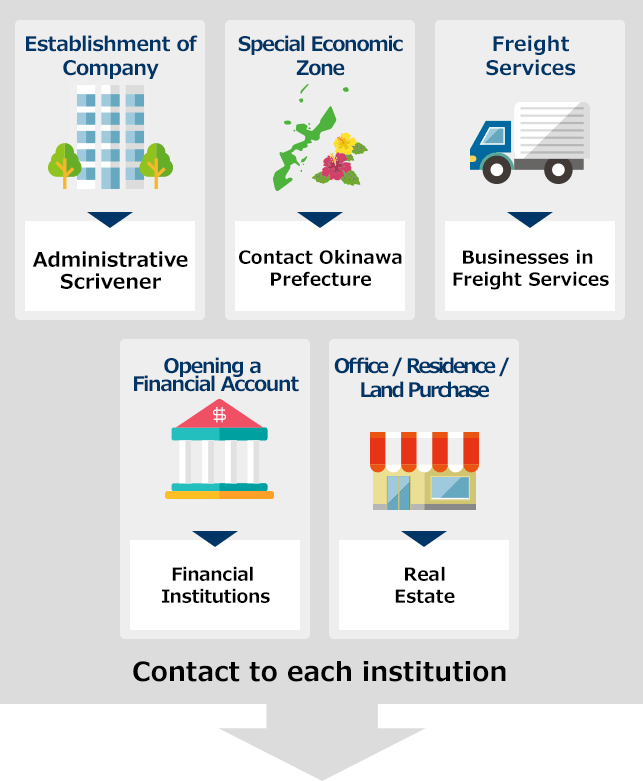 What is Okinawa Investment Support Center? 海外企業向けにWe provide information about business environment and economic situation of Okinawa as well as consultation services for incorporation of a business. We also introduce hubs of international distribution and provide information and support about various incentives for business. In addition, for those who wish to visit and observe companies in Okinawa before you deploy investment or other specific plans, we coordinate and accompany your visit. "Okinawa Investment Support Center" can provide one-stop service in accordance with clients' needs. Okinawa Investment Support Center provides consultation and support to respond to your inquiries.